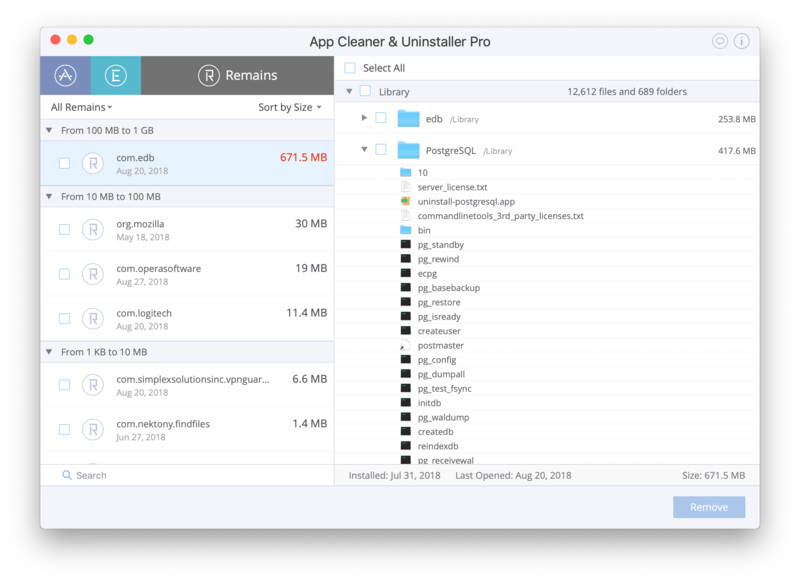 App Cleaner is a tool to delete apps on Mac completely and safely. Manage system and browser extensions. Uninstall unneeded apps. Remove remains. Use App Cleaner & Uninstaller to remove applications from Mac or delete only unwanted service files and even Remains – the broken files from previously removed apps. App Cleaner allows you to manage extensions and disable all unwanted Mac startup programs with just one button click. Completely remove applications without leaving any trace. Delete service files only and launch any application like for the first time. Remove leftovers (broken service files) of apps previously moved to Trash. Change Mac startup items, hide or disable Launch Agents, install files and other core extensions. 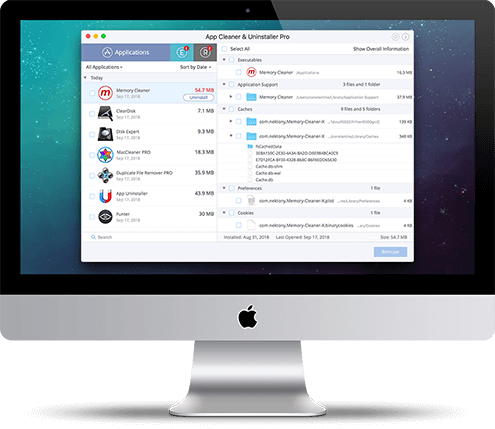 The application cleaner helps you to easily remove software from Mac without giving its service files a chance to remain. Check your Mac for traces of previously removed apps which remain on the disk when you drag & drop applications to the Trash. Find and delete all leftovers, remains and broken service files! Preview and operate user and core extensions installed on your Mac. You can easily switch their mode or even remove them completely. 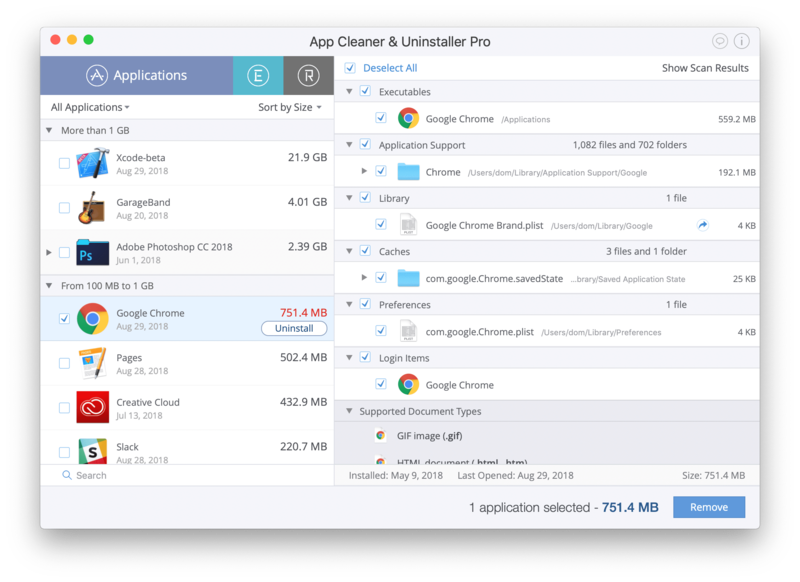 App Cleaner & Uninstaller supports more than 1000 applications for complete removal. Use the program for correct and safe removal applications from your Mac.